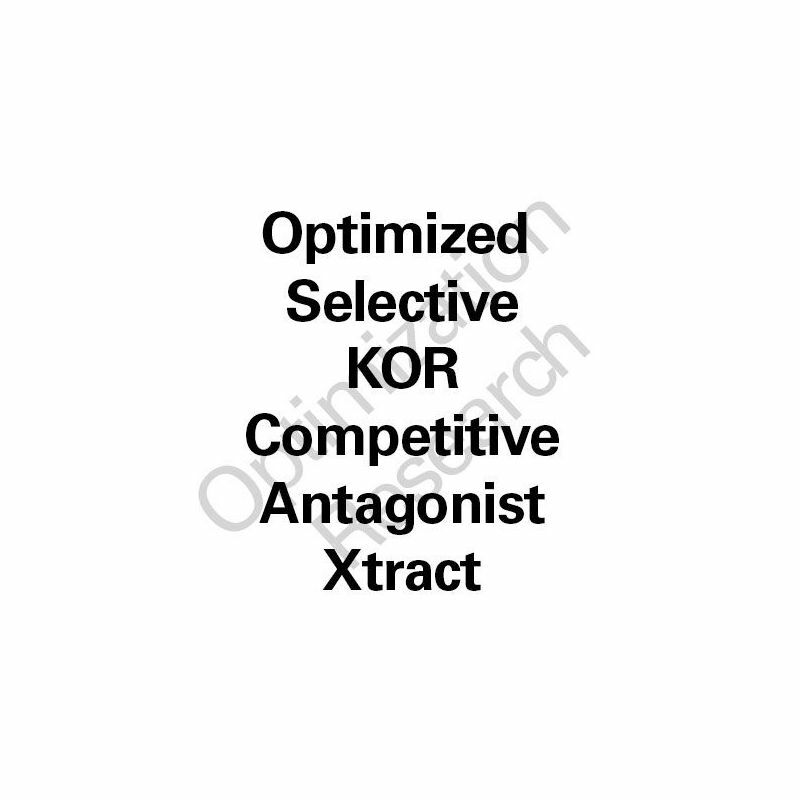 KORX-OX - Kappa Opioid Receptor Antagonist Optimized Xtract First-In-Class orally bioavailable, long-acting kappa-opioid receptor (KOR) antagonist herbal extract. Activates the c-Jun pathway to 'corrupt' the KOR akin to that of the class of synthetic KOR antagonists such as JDTic. First-In-Class orally bioavailable, long-acting kappa-opioid receptor (KOR) antagonist herbal extract. Activates the c-Jun pathway to 'corrupt' the KOR akin to that of the class of synthetic KOR 'corruption' antagonists such as JDTic. As derived from extensive in-house animal data, KORX-OX displays high-efficacy, orally bioavailable, and long-acting KOR inactivation (antagonism and 'corruption'). Theoretically extrapolated clinical trial dose arms are derived to be at 150mg, 300mg, and 600mg given q.d. via oral format. Within in vivo animal assays KORX-OX demonstrated superior efficacy in comparison to JDTic. No adverse effects were at all discerned in any such experiments conducted. As such, a highly favorable therapeutic index as well as pharmacokinetic profile is aniticipated in future human clinical trials. Potent efficacy within paradigms comprising antidepressant effects, anxiolytic effects, anti-addiction effects, as well as within paradigms of complex psychoneurological dysfunction are strong potential areas for application within future trials. KORX-OX as well displays serotonin enhancement. 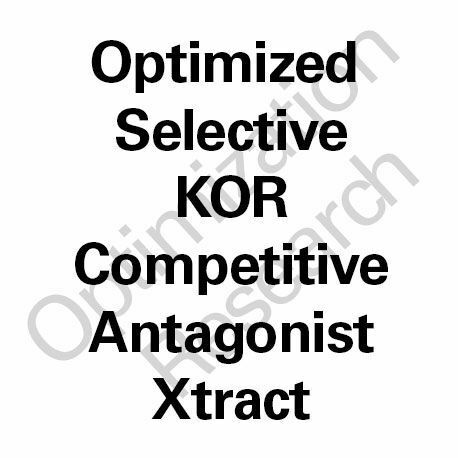 KORX-OX as a long-acting KOR antagonist activity, in similar fashion to JDTic and other long-acting KOR antagonists, is theorized to alleviate psychoneurodysfunctional [Google it] states (moderate to severe), within a broad range of conditions, including states that encompass depression states, anxiety/fear/trauma states, OCD-S states, addiction states, depersonalization-related states, and other such psychoneurological/emotional states adverse to well-being. The opioid system is the seat within the balance set within evolutionary 'design' of wellness:unwellness, and most all that is encompassed within such. Within that theory, currently proposed theory denotes the potential of direct antagonist activity upon KOR, the “seat of unwellness”, to foster a potent counter to this opioid receptor that is responsible for 'negative-state' promotion. Antagonizing the receptor would appear to have no tolerance and addiction potential as with the induction of agonist activity of MOR, the “seat of wellness”, wherein such modalities are not viable as within bearing the intrinsic flaws of rapid tolerance and high addiction potential (among other well-known non-psychoactive adverse effects). Quite to the contrary, KOR antagonist activity is anti-tolerance and anti-addiction, providing 'resetting' of “emotional tone” primarily through resetting of these pathways; within markedly reversing dysregulation within dopaminergic pathways and other addiction-related/tolerance-related pathways. “Emotional Tone” or “Psychoneurofunctional Tone” is the level of resistance to adverse/dysfunctional emotional states (psychoneurodysfunctional states, which as well encompasses addiction states). KORX-OX in in vivo animal research has demonstrated long-acting effects (naturally tapering of effects appear to remain for 1-3 weeks after cessation of KORX-OX depending on the dose and duration of administration) within its KOR antagonist activity. To have capacity to so profoundly improve core(KOR) tone would appear to be of greatest value as a base treatment for improving a plethora of psychoneurodysfunctionalities. KORX-OX may be the breakthrough many are looking for within research of all paradigms with a strong underlying 'stress' component such as depression states, anxiety states, OCD and ASD states, addiction states, et. al. KORX-OX, as well as SNRB-OX (as well, UPLIFTED/SNRB-MEGA, which contain SNRB-OX derivatives), are the 'core' of our 'ultra-antidepressant'/anxiolytic/neurogenic platform. KORX-OX though has a broader spectrum of action to counter neuropsychological dysfunctions. Note, KORX-OX through c-Jun modulation creates axonogenic/neurogenic enhancement, which is demonstrated with very few agents. SNRB-OX fosters potent BDNF related synpatogenesis, and as well appears to be dendritogenic. Both demonstrate characteristics to afford superior potentials for an exceptionally clean, rapid-acting, potent, and highly efficacious antidepressant/anxiolytic "mood betterment" tone. These have all been in development for about 8 years and are hoped to realize a new age in betterment for those who suffer from mood disorders and other neuropsychological disorders. Note, with KORX-OX one may see that animals will indeed require lower dosages over time in many models, wherein the dose can be dropped to even EOD or ETD (every other day or every third day). This of course has some dependency on the model and paradigms being researched.